It has long been a complaint that there are not enough female directors in the Hollywood system, a point that is marked by an annual reminder in the Academy Awards, which has only seen one female director win in 87 years. I would say that this is more of a reminder how few quality female directors that are working in Hollywood, though Gina Prince-Bythewood stands out as an exception. Beyond the Lights (like Love and Basketball) may simply be a genre film and unlikely of Academy recognition outside of category for Best Song (which the film was nominated for), but Prince-Bythewood manages to elevate the genre with some poignantly relevant social commentary and committed performances from her two stars. In yet another of this past year’s blunders from Sony Pictures Studios, this project was dropped when the director insisted on casting Gugu Mbatha-Raw (Belle) in the critical starring role as pop music superstar Noni. Not only does she capture the essence of celebrity icons such as Beyonce in her onstage persona, Mbatha-Raw is equally convincing when she lets down her guard in her private life. She shows this side to a young idealistic cop named Kaz (Nate Parker), who gets pulled into a cover up story after Noni attempts suicide on the balcony of a hotel. Because Kaz doesn’t care about the fame, Noni is able to find a piece of herself being near him, with the film’s more interesting commentaries on the price of celebrity. Written by Prince-Bythewood, the screenplay feels like a perfect hip-hop companion to John Carney’s Begin Again. Both have somewhat idealistic prescriptive solutions to the superficial and demeaning world of mainstream music, though they are done with enough talent and good intentions to ignore the naivety. The spectacular casting and the director’s ability to get convincing performances from them also helps smooth over any rough patches there might be in the script, from the stars to the supporting roles. 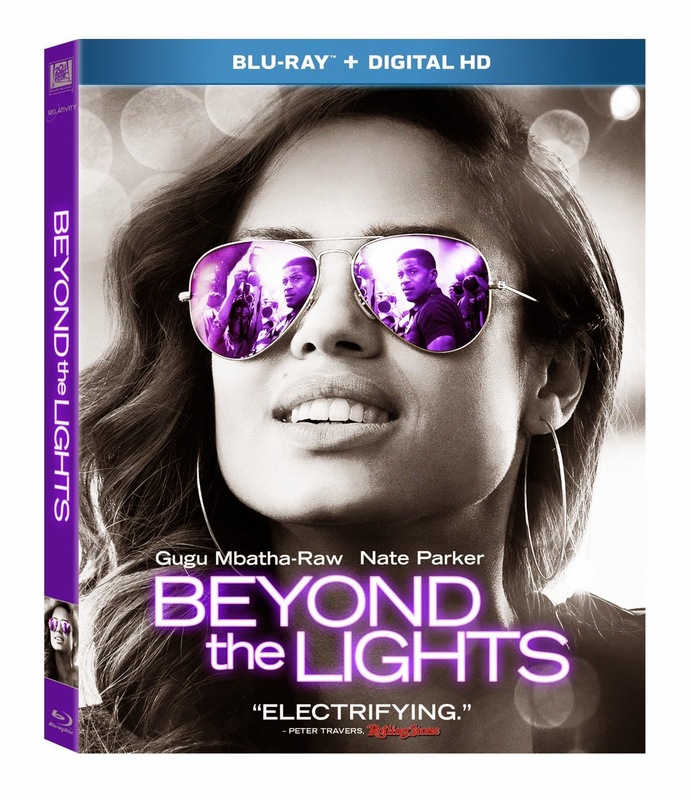 Beyond the Lights features two fantastic leading performances, which means everything to the impact of the film’s love story, but it is also filled with a number of memorable supporting roles. Minnie Driver probably carries the heaviest weight attempting to play Noni’s controlling mother and manager without losing all empathy from the audience. Danny Glover is also better than he has been in years in a small role as Kaz’s father, and even brief appearances by Noni’s entourage are highlighted by The Logo Channel darling, Darryl Stephens (“Noah’s Arc”). With casting this good, I would hope that no studio questions Prince-Bythewood’s choices in the future. The Blu-ray release comes with a Digital HD copy, on top of a director’s cut paired with the theatrical cut of the movie. The special features also have a number of deleted scenes which were not in either cut of the film, available with optional commentary. There is also a feature-film commentary track with Prince-Bythewood, along with longtime editor Terilyn Shropshire and cinematographer Tami Reiker. Also included is an additional alternate sequence, a few featurettes highlighting the relevance of the film’s narrative and appreciation for another of Prince-Bythewood’s essential crew members, and a music video from the film.